You are here: Home / Getting A Record Deal / What Are The Chances Of Getting Signed To A Record Label? 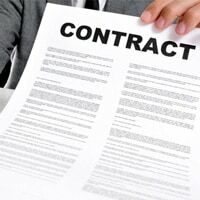 As much as I try and give you advice for progressing as an independent musician, I know it’s the aim of some to get signed to a record label. And that’s fine; the marketing skills I teach are a great way to get on the raider of record labels and get signed in future. But what are the chances of getting signed to a major record label? Or just a small independent label for that matter? This is what I want to show you today. Please note that while all of the below is based on what I’ve seen during my 15 or so years in the music industry, it will vary from person to person. Talent levels, fanbase, personality, your current success and more will all play a big role in whether or not you get signed. It’d be impossible to give you your chances in terms of exact percentages, but hopefully the below will give you a much clearer incite. Without these things in place your chances won’t be very good. I’ll look at how easy it is to sign to a major record label later in this article (or how hard it is to get signed to a record label as the case may be), but first let’s start out smaller. If it’s your aim to get signed to either an independent or small record label, what are the chances that that’ll happen? Before I answer that, I’ll have to define broadly what kind of record labels are out there. A professionally run record label which is a much smaller version of the major record labels. They’ve legally formed a company, they’ll be able to fund you financially, and they have established links in the music industry. The other type is the record label formed by (usually) another musician who wants a name to release their music under. They may get to the stage where they want to release other people’s music under their name, but they can’t generally help with much more than you being associated with their name. They usually won’t provide you with any money or have a professional set up. Now, as you can imagine, getting ‘signed’ to the second of these isn’t very difficult. In fact, you could even say you’ve a record label like this and sign yourself. That said, just because it’s easy, it doesn’t mean it’s the best option. If there’s no budget behind the person who signs you and they haven’t got a huge amount more experience than you, why sign to them? Most likely anything you sign won’t be legally binding anyway, and if they are you should really be careful about what is expected of you. 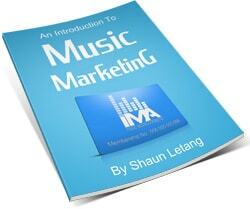 So what about getting signed to a small to medium sized, professionally run record label? Well, this gets slightly harder. That said, if you build yourself up as a successful independent musician, your chances of getting signed greatly increases. It’s important you know that there are different reasons a label may want to sign you. Just because you get signed though, that isn’t a guarantee of success, or even a guarantee that you’ll have any of your material launched under the label. There are all sorts of dirty tricks that some labels do, such as the ‘sign and ice’ method which is explained by Ches Christian in the Full Time Musician course. Basically this is when a record label will sign you just so they can make sure you don’t provide competition to another act under their label (they’ll release lots of their stuff and make sure they don’t release anything from you). If you’re quite talented but not yet at the level where you’re getting attention from lots of other labels, a company might sign you for this reason if they feel it’d cost less than the business you’d take away from their main act. So bare in mind some will be quick to give you a deal, but it might now always be in your best interest. Now, back to the main question. While I can’t give you exact numbers and percentages of your changes of getting signed, while it’ll take a lot of hard work, getting signed to a small or medium sized label is a realistic aim to have. It is possible if you have the qualities in the above ‘What It Takes To Get Signed’ PDF, but the kind of deal you get will depend on the status of the label (financially, resource wise, their aims and how you fit in with those aims etc) and how much potential you show. You’ll have to work hard as an independent musician before you get to the stage where one of these labels will want to sign you. If you’re talented, know how to market yourself, build up a fanbase and have other attractive qualities record labels look for, it’s not unrealistic to say you’ll get some kind of deal down the line. It’s more a question of whether or not it’ll be a deal worth taking. Ok, here’s the one a lot of you really want answered. How likely is it you’ll get signed to a major record label? Now I’m not going to lie to you and say this will be easy. In fact, most people reading this won’t ever sign to a major record label. That said, there will be some who do! Will it be you? Getting signed to a big label is like getting to play for a big sports team. There are only so many opportunities available, yet there are thousands upon thousands of people all aiming to get to that top spot. Being a very good musicians isn’t enough to get picked up by a major, a lot more things need to be in place for this to happen (see the above ‘What It Takes To Get Signed’ download for an overview of those things). You could be in the top 1% of musicians in the world. But the major labels are looking for the top 1% in that top 1%. Or they may want to narrow it down even more. Now I’m not saying this to imply you’ll never sign to a major label. In fact, quite the opposite. I’m saying it is possible; just look on your TV screens for proof. Most of those people playing on mainstream TV and radio are on big record labels, and they’re just ordinary people like you and me. They may or may not have been chasing getting signed, but either way it happened because they grew themselves into what their label was looking for. The same could happen for you. Is it a guaranteed thing if you do all the right things? No. Can it happen for you? Yes. You just have to work for it and hope that a label is looking for what you can offer. If you show them that you can do well without them, the chances someone will sign you up will greatly increase. 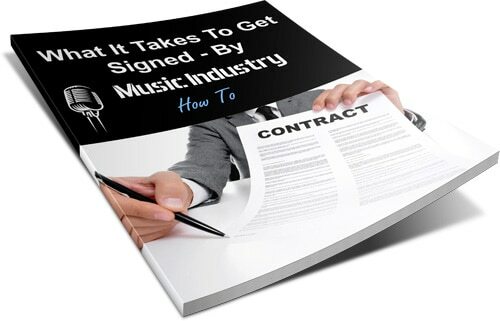 Signing to a record label isn’t an easy or overnight thing. If you don’t have the right things in place, getting signed is highly unlikely. But the more you become what the labels are looking for (which just so happens to be the thing which will allow you to do well by yourself) the higher the chances of getting signed will be. 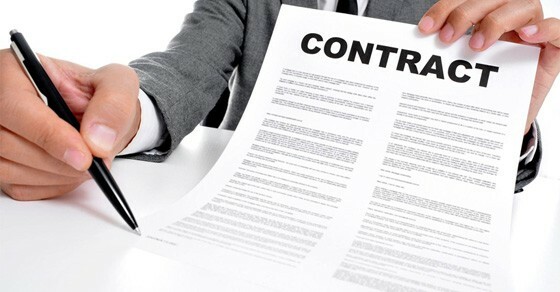 Are you aiming to sign a record deal? Let us know in the comments. Should You Send Unsolicited Demos to Record Labels?